Tina Ford, an Australian public servant, said she could hardly believe it when her three-bedroom apartment sold this month for A$1 million ($877,000) at an auction in which all 16 registered bidders were ethnic Chinese. Such buying by locally resident Chinese and those from mainland China is inflating housing bubbles in and around Sydney, where prices in some suburbs have surged as much as 27 percent in the past year. That’s almost three times faster than the overall market. The proportion of foreigners purchasing new homes in Australia more than doubled to 12.5 percent in the three months to September, from 5 percent throughout most of 2011, according to a survey of more than 300 property professionals by National Australia Bank Ltd.
On visits to several home auctions in Sydney’s sprawling suburbs, a dozen or more registered bidders, all of them Asian, could be seen vying for each property. A second-hand house in northwest suburban Eastwood sold for as much as A$1 million more than the expected price, according to John McGrath, chief executive officer of McGrath Estate Agents in Sydney, which set up a Chinese sales desk in September. McGrath agent Adam Wong, who brokered Ford’s apartment, said 95 percent of the more than 100 people at the auction were locally resident Chinese. Elsewhere in Chatswood, 90 percent of developer Mirvac Group (MGR)’s ERA high-rise apartment building sold to ethnic Asian buyers, most of them Chinese, according to John Carfi, head of the residential division. Unlike in the U.S., where auctions are frequently used to dispose of distressed properties, sellers in Australia try them when the market is strengthening and there’s the prospect of higher prices. SQM Research Pty, a Sydney-based data company, forecasts home price gains of as much as 11 percent this year in Australia’s biggest cities. Home prices in major Australian cities rose 9.8 percent in 2013, the fastest calendar-year growth since 2009, according to the RP Data-Rismark Home Value index. The average weekly wage grew at about half that rate, to A$1,105 before taxes as of May 31 from a year earlier, the latest statistics bureau data show. Australia’s housing market was the fifth-most overvalued among countries in the Organization for Economic Cooperation and Development relative to rents, the International Monetary Fund said in a December report. Canada was first, followed by New Zealand, Norway and Belgium. Billbergia Pty, a closely held developer in Sydney, reported selling as much as 85 percent of its apartment project in the western suburb of Rhodes last year to Chinese buyers, even before beginning construction. Home prices in Rhodes jumped 27 percent to a median A$1.03 million in 2013, according to Australian Property Monitors. By law, non-resident foreigners can only buy new homes, with exceptions to buy existing properties granted on a case-by-case basis. While many Chinese immigrants buying in Australia pay cash, they take out mortgages for second or third properties to take advantage of tax rules, said Ray Chan, managing director of Sydney-based real estate broker Henson Properties, 95 percent of whose clients are from China. Owners can claim tax deductions if expenses, including mortgage payments, are greater than their investments’ rental income. The distinction between purchases by mainland Chinese and by Chinese who have already immigrated to Australia is blurry. Chen Youmea, 42, bought a two-bedroom unit under construction in Sydney in 2011 while she and her family were still living in China’s eastern Zhejiang province, near Shanghai. They moved to Australia in 2012, and within six months bought another three-bedroom apartment in the inner-city suburb of Pyrmont. Chen planned to spend about A$700,000 on a third property, she said while browsing at a November Chinese property expo in Chatswood, where 13.7 percent of residents were China-born as of the 2011 census, up from 9.6 percent five years earlier. Home prices in the suburb increased 12 percent last year, Australian Property Monitors figures show. “I agree to some extent that Chinese buyers are pushing up prices, but it’s good to have a bit of Asian investment to stimulate the market,” Chen said. Some buyers are finding themselves squeezed out. In a showroom in the nondescript suburb of Macquarie Park in October, architect Warwick Mann and his father didn’t register for the sale of one- and two-bedroom apartments listed for almost A$1 million and found themselves trying to get attention from agents busily catering to scores of Asian buyers. “They’re not interested in selling to us,” said the younger Mann, 51, who said his retiree father, looking for a new home, lost his temper and left. The 378 units all sold in four hours, three-quarters of them to Chinese buyers, according to real estate broker CBRE Group Inc., which marketed the development. A further 152 apartments in a separate building within the project site will be offered for sale next month, Stewart said. Demand from China has also driven prices higher in other parts of the world. In Hong Kong, the most unaffordable housing market among 360 cities in a survey released this month by Belleville, Illinois-based urban development consultancy Demographia, home prices have doubled since 2009, driven in part by an influx of wealthy buyers from the mainland. In Vancouver, where 15 percent of the population speaks a Chinese dialect as a first language and which is the second-most unaffordable housing market in the survey, ethnic Chinese are the largest group of foreign buyers, according to auction house Sotheby’s. Mainland property hunters were the top overseas buyers of residential property in Singapore as of August, government data showed. Sydney and Melbourne were also among the 10 most unaffordable cities for housing in the Demographia survey. More than 20,500 people from China, Hong Kong and Taiwan settled in Australia in the year to June 30, according to immigration department figures. Another 219,000 came to Australia as temporary immigrants and students, the data show. Juwai.com, a website that lists homes around the world in Chinese, saw a 266 percent increase in page views from China of Australian homes between January and August of 2013, according to the latest figures from the company. “There is strong interest in Australian property because of its stable housing market, regulatory protection and the all-important time zone,” which is two or three hours ahead of Shanghai depending on the time of year, Andrew Taylor, co-CEO of Hong Kong-based Juwai Ltd., said in e-mailed comments. The U.S., Australia and Canada were the most favored of 15 countries among Chinese home buyers last year, according to a report yesterday from SouFun Holdings Ltd., China’s biggest real estate website owner, which surveyed 15 million members. For Mann, who gave up helping his father search for a house and now plans to accommodate his extended family in a single residence, his current suburb of Epping and neighboring Eastwood no longer offer value for money, he said. A three-bedroom brick home in these suburbs now sells for more than A$1 million. Home prices climbed 17 percent last year in Eastwood, some 18 kilometers northwest of Sydney’s center, to a median A$1.1 million, and in neighboring Epping, they rose 15 percent, according to Australian Property Monitors. About a third of residents in these suburbs claim Chinese ancestry and almost a fifth were born in China or Hong Kong, according to 2011 census data. Instead, Mann chose to look in Beecroft, a leafier suburb where median household incomes are 50 percent higher than in Epping. Prices there are up a comparative 16 percent, with a median price of A$1.08 million. “I’d much rather spend that sort of money here,” he said. Behind the growing demand for homes in Australia is a push by Chinese to leave the mainland in search of better education for their children, a clean environment and higher income, CLSA’s Ryall wrote in the September report. About 60 percent of high-net-worth Chinese -- those with at least 10 million yuan ($1.7 million) -- have left China or are considering it, according to Bain & Co.’s China Private Wealth report, released in May. The number of people in this category with investments outside China almost doubled from two years earlier, the report said. More than half of high-net-worth individuals without overseas investments planned to make them, while 60 percent of those who have them planned to increase them, it said. At Billbergia’s Village Quay apartment complex in Rhodes, the company sold a quarter of its units to buyers directly from the mainland and about 60 percent to Australia-resident Chinese, operations manager John Fitzgerald said. Billbergia began using Chinese microblog Weibo and instant messaging application WeChat in 2012 to reach Chinese buyers, both in Australia and on the mainland, rather than rely only on print advertising, Fitzgerald said. Broker McGrath’s China desk received about 250 inquiries from Chinese-speaking potential buyers, about 15 percent of them overseas, from its September start through late December, according to Davey Hong, who runs Chinese sales. The company reported a record A$1.2 billion in transactions in November. Opening the Chinese desk has made buyers “feel more confident when dealing with us, as our job is to assist them in understanding the buying process and property information better,” Hong said. The broker has also been approached by sellers wanting to reach Chinese purchasers, he said. Mainland buyers seeking newly built investment properties usually travel to Australia in groups, Hong said. Those buying for their children are often referred by friends or family living in the area, and those buying more expensive properties, typically more than A$6 million, use buyers’ agents, he said. When buying as investments, mainland purchasers prefer new construction with good rental potential, said Grace Yeung, who set up Sydney-based GBE Property Investments as a division of realty marketer Golden Berg Enterprises Pty, in May to match Chinese buyers with Australian sellers. Her clients, more than 80 percent from the mainland and often referrals, have specific locations and requirements in mind, she said. The layout of properties can make or break a deal, according to Yeung. Too many sharp or irregular angles and front doors that allow a direct view of the bedroom are a no-no. Such homes “won’t attract buyers,” she said, because of their feng shui, which translates as “wind and water” and requires harmony in the physical environment according to Chinese beliefs about energy and design. 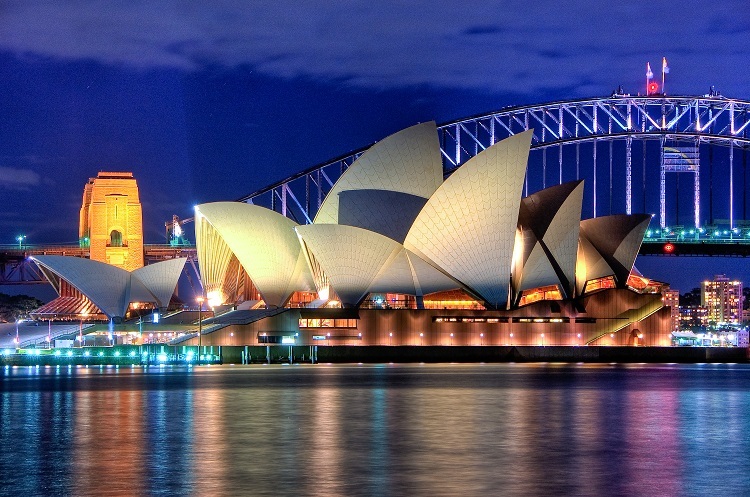 Those with big budgets, who plan to live in the homes rather than rent them out, seek waterfront properties in exclusive suburbs, such as Bellevue Hill, Point Piper and Vaucluse in Sydney’s east, with harbor and Opera House views, said Yeung. The city’s eastern suburbs are home to the likes of Lachlan Murdoch, son of media tycoon Rupert Murdoch; Frank Lowy, co-founder of Australia’s biggest shopping mall operator, Westfield Group; and Harry Triguboff, founder of Meriton Pty, the nation’s biggest apartment developer. This demand is helping luxury property, with the top 25 percent of the market fetching record home prices as of December, according to researcher RP Data Pty. (RPAUMED) Foreign buyers are boosting demand, according to Cameron Kusher, senior research analyst at RP Data. Dominique Corbett, founder of Brisbane-based property agency Corbett & Co., traveled to Shanghai for the annual Top Marques exhibition featuring private planes, vintage cars, and jewelry to exhibit listings in Brisbane and the Gold Coast in Queensland state and introduce China’s wealthy to cities outside Sydney and Melbourne. She plans to return to Shanghai next month to present more Australian properties, she said. Chinese demand for luxury properties is also fueled by Australia’s so-called significant-investor visa, also known by its visa classification number 888. The Chinese believe eight is a lucky number because in Mandarin it sounds like the word for prosperity. Introduced in November 2012, the visas offer temporary residency to foreigners investing more than A$5 million. While residential real estate doesn’t qualify as an investment, the rules allow 888 recipients to purchase homes. Monika Tu, whose Black Diamondz Property Concierge service helps migrants adjust to their new lives, said the visa has doubled her demand. In addition to connecting Chinese buyers to properties, Tu’s offerings range from finding schools to recommending dining and golf facilities to offering a business address for immigrants until they establish themselves. Surging demand and rising prices are frustrating even some Chinese buyers.